Most bio-micro/nanoparticles, including cells, platelets, bacteria, and extracellular vesicles, are inherently suspended in biofluids (i.e., blood) with non-Newtonian fluid characteristics. Understanding migration behaviors of bioparticles in non-Newtonian microfluidics is of significance in label-free manipulation of bioparticles, playing important roles in cell analysis and disease diagnostics. This review presents recent advances in focusing and sorting of bio-micro/nanoparticles by non-Newtonian microfluidics. Principle and examples for passive and active manipulation of bioparticles in non-Newtonian and non-Newtonian/Newtonian hybrid microflows are highlighted. Limitations and perspectives of non-Newtonian microfluidics for clinical applications are discussed. 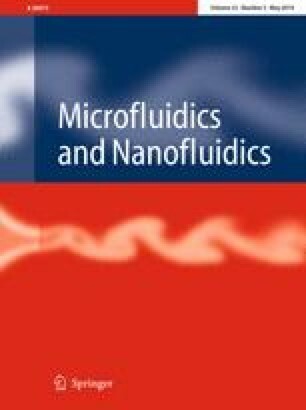 This article is part of the topical collection “Particle motion in non-Newtonian microfluidics” guest edited by Xiangchun Xuan and Gaetano D’Avino. This work was supported financially by NSFC (21622503), Youth Innovation Promotion Association CAS (2016035), and the open research fund of Jiangsu Key Laboratory for Design and Manufacture of Micro-Nano Biomedical Instruments, Southeast University (KF201804).